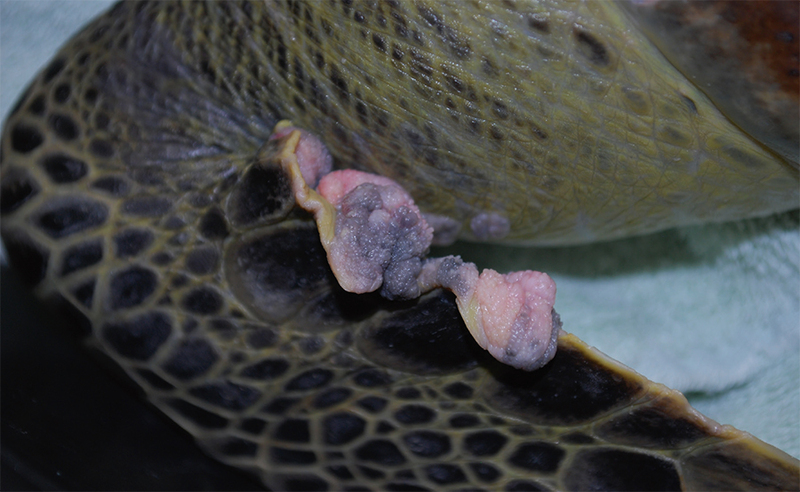 Among the many challenges sea turtles face today, arguably the most mysterious and pervasive is a globally-distributed disease known as fibropapillomatosis (FP). 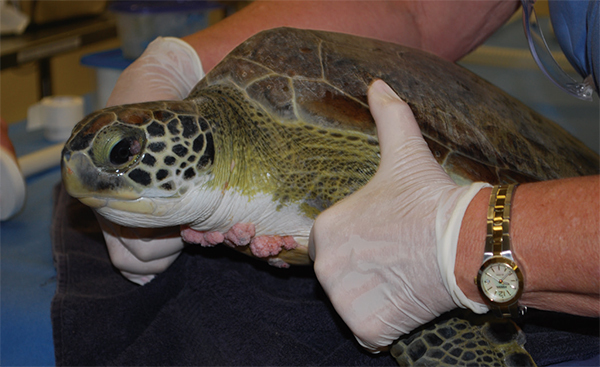 Currently believed to be viral in origin, this disease (most commonly found in young green turtles) can be easily recognized by tumors growing around the eyes, mouth, and flippers that often appear as large, rather gruesome cauliflower-shaped masses. If left untreated, these tumors can continue to enlarge and/or internalize, eventually overwhelming the infected individual by restricting mobility, impairing vision, and/or severely weakening the animal’s immune system. nearshore open-oceanic waters. This evidence suggests a link between FP susceptibility and degraded, poorer-quality habitats where nutrient and pollutant levels are high. pathogen(s) naturally. Nowadays, surgical lasers are among the most effective tools available for tumor removal. Often used in combination with radio-cautery, lasers can effectively remove and destroy embedded tumor cells that are often missed by scalpel use, reduce bleeding, and shorten post-surgical recovery time. 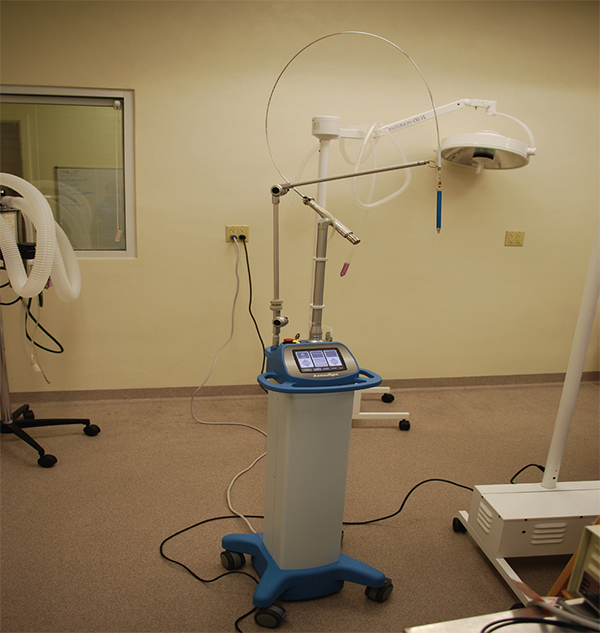 In response to the urgent need for this equipment, the National Save The Sea Turtle Foundation provided funding for the purchase of a CO2 laser for Gumbo Limbo’s fibropapilloma surgery. 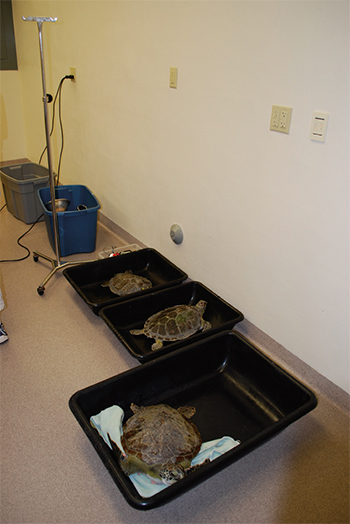 Since 2010, Gumbo Limbo has treated an average of 60 FP turtles per year with this device, making a significant contribution to the statewide effort to battle this disease. 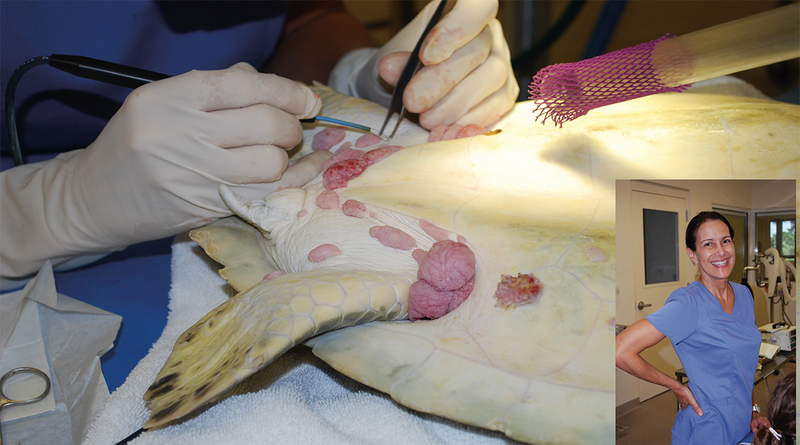 FP causes tumors to grow on the soft tissues of sea turtles, usually around the base of the flippers, neck, eyes, and mouth. If left untreated, afflicted individuals can be overcome by the disease. 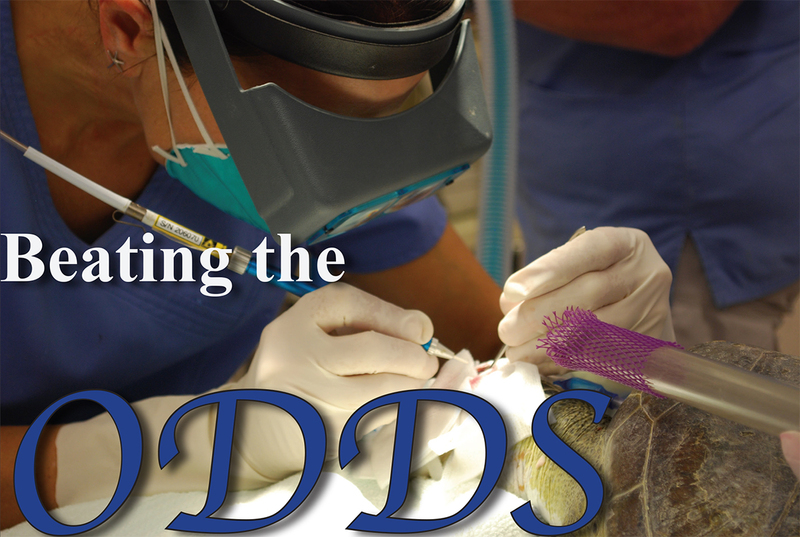 Dr. Maria Chadam donates her time to skillfully remove fibropapillomas from a green sea turtle using a combination of radio-caudery and laser surgery. These turtles have an excellent chance of survival thanks to a partnership between the Gumbo Limbo Nature Center and the Palm Beach Zoo.